I’m always talking about wanting more energy to help me be more productive. Wanting to focus on daily tasks and feel better. Living happier, healthier, and wiser. For the last 10 days, I have been able to do that. All because a friend of mine introduced me to a line of healthy lifestyle drinks. I am not a health professional, just a customer, and this is my personal experience. Have you ever heard of LIMU? I had not either. I tried the Original Blend which tastes like mango and papaya. It’s a daily liquid supplement that gives your body’s core systems complete nutrition (70+ nutrients). No added sugar and no artificial sweeteners, colors or flavors. 1-4 fl oz. twice a day is all you need. THE SPECIAL INGREDIENT: Fucoidan–it’s an element found in brown seaweed. I haven’t needed to drink coffee every morning to kick start my day. I simply drink the Original Blend twice a day and with no jittery side effects and no nervousness. I pour it over 1-2 ice cubes. Who can benefit from LIMU ORIGINAL? Everyone. People of all ages can drink it. It’s completely safe for athletes as well. LIMU BLU FROG is not your typical energy drink. Along with Fucoidan, it has natural caffeine. One can of 8.4 fl oz to put a little extra pep in your step. A healthy energy drink! For more focus and concentration. Again, no coffee needed. I drink a can of Blu Frog which has a fruity taste and no jittery side effects and no nervousness. I drink it at room temperature. Who can drink BLU FROG? Blu Frog is not recommended for children, pregnant women, and people sensitive to caffeine. OK for everyone else and is safe for athletes too. LIMU LEAN includes 6 different high quality protein sources, 20 essential vitamins and minerals, a herb/tea complex, biotics and fiber. It’s a foundation to physical potential and healthy weight. 2 scoops and 6-8 oz of water. It comes in Dutch Chocolate and Creamy Vanilla. It helps with food cravings by curbing my appetite. It’s full of protein and vitamins. Easy to mix. Who can drink LIMU LEAN? 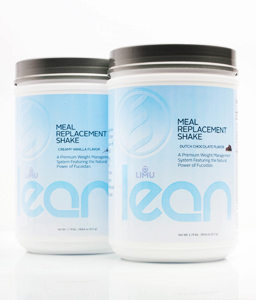 LIMU LEAN is not recommended for women who are pregnant or nursing. You can take all three of the aforementioned products daily because they have different functions. The LIMU Company is America’s Market Leader in providing a Liquid Nutritional Seaweed Supplement and we are proud Independent Promoters of The LIMU Company. Limu is amazing. I didn’t know a drink with seaweed can be so good! Thanks for stopping by, Laura! How did the Pro athlete verify that is was ok to be consumed? PubMed.gov supports the ingredients in Limu. Those findings were reviewed by the necessary staff that employs my friend. Never heard of it, but it sounds like it's a good alternative to coffee. I'll definitely take a second look. My friend who told me about it is a professional athlete. He has to be overly cautious about taking anything, so I knew it was the real deal. Just went to a presentation this morning and heard amazing stories from people who have suffered with chronic pain. They are now pain free. I'd be selfish not to pass it on. That Blu Frog sounds tasty! Are the expensive? It is tasty. There are several affordable packages to choose from, Nicole. Hmmm…. might have to try that. I never acquired a taste for coffee and have a daily Monster. Sure would be nice not to have all that sugar every day. No sugar here, Wanda. And you won't “crash” like other energy drinks may cause you to do. Thanks for stopping by, FB Buddy. Previous post Wordy Wednesday: Vet. Vetted. Vetting.